At this year's show, King narrative design lead Tracey John will be in an array of sessions all designed to help writers and designers tell better stories both big and small in video games. 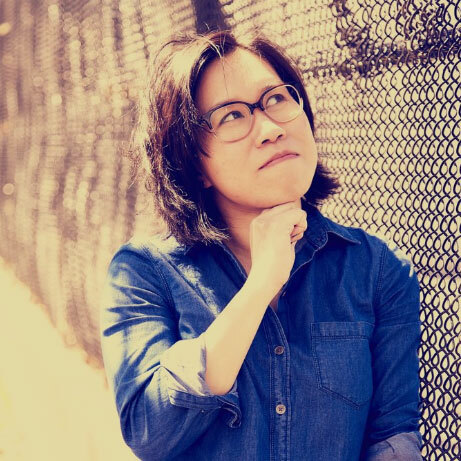 John's had a long career in UX, writing, and more, so we wanted to pick her brain about her experience and what she'll be talking about at GDC this year! If you're a writer, or just someone who works in games that need narrative, you can now read John's full Q&A down below. I’m Tracey John, the Studio Lead of Narrative Design at King’s Stockholm studio. I oversee all the narrative designers and the narrative design work across all the games in the studio. I also act as the Lead Narrative Designer on several projects. The narrative design craft at King entails working closely with the teams to create stories, characters, dialogue, text, lore, and other narrative elements for our games. We are the narrative evangelists, championing story and context, and ensuring that all the narrative elements are cohesive and engaging for our players. I’m really fortunate to be doing three sessions this year. In “Storytelling in Small Spaces: Practical Narrative Design for Mobile Games,” I’ll be talking about how narrative designers at King work together with different disciplines to give narrative context to our games, as well as how we try to optimize narrative opportunities. In a post-mortem on releasing Candy Crush Friends Saga, I’ll join my King colleagues Jeremy Kang and Robert MacKenzie as they talk about design and art direction for the game; my portion will be about how we retrofitted a narrative universe to the Candy Crush Saga franchise, and the ways we implemented some of those elements in Friends. And finally, in “How to Get a Job Writing for Games,” I’ll join Zak Garriss from Deck Nine Games, where we’ll share some advice on the application process, interviewing, and how you can succeed once you land a job. Every year, I am astonished and delighted by all the different kinds of games that are released, as well as the growing diversity of people who make and play them. As the people who make games becomes more and more diverse, I believe the stories that will be told will become more innovative, thought-provoking, and compelling. Narrative design isn’t just about writing words, it’s about creating a world for your players. To build an engaging and cohesive game world, narrative design should be a part of everyone’s role! I worked on King’s newest game, Candy Crush Friends Saga, and I’m very lucky and proud to have worked with all the talented team members to bring the world of Candy Crush and its characters to life in 3D. There are still a lot of narrative opportunities to flesh out in the game, and I can’t wait to bring more characters and stories to players in future updates!